David Jones introduces a team of Polar Bears in its Christmas commercial, presented as Santa’s team in charge with preparing presents and loading the sleigh for take-off. 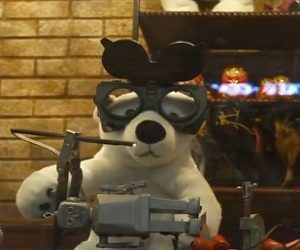 The spot features the cuddly polar bears as they create all kind of toys, wraps them up and puts the gift boxes in Santa’s sack so that he could set off to the children around the world, in his sleigh. The representative of the Australian upscale department store invite you to join them at the brand’s Elizabeth Street windows to watch the polar bears hard at work and hear their merry song.